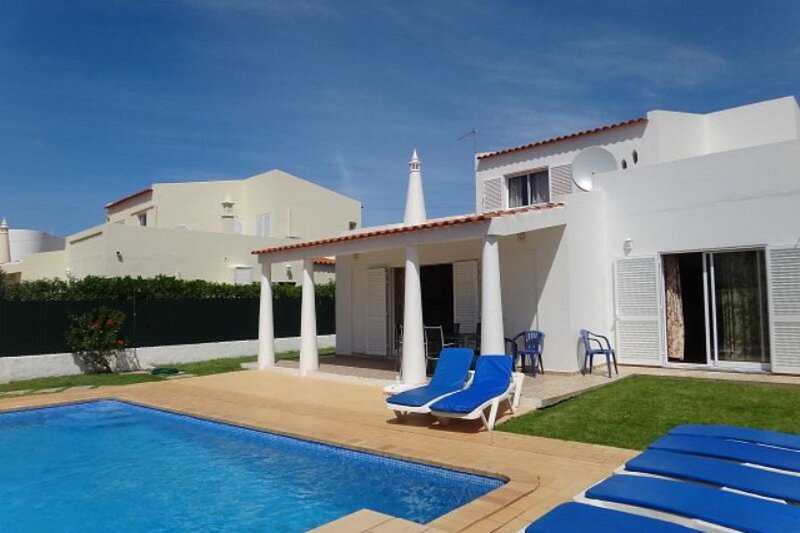 Comfortable holiday home with private swimming located very central, yet quiet and shielded in Forte de são João, Albufeira. The beach Forte São João is in 300m from the house. There is also a garden area with a barbecue and outside furniture for Al-fresco dining and sun beds. First and foremost, Albufeira is famed for its beaches, for the countless shades and tones of its rocks and cliffs. This is a place where people live to the rhythm of the great holiday destinations, sunbathing during the day and at sunset flocking to enjoy the restaurants, bars and discos that enliven the night-time hours. Sports are also a good reason to come and stay in Albufeira. Tennis, golf, water sports and much more make the delights of the most demanding sportsmen Albufeira- A long strip of sand with the city surrounding it like an amphitheatre, it is made up of three beaches: Peneco, Pescadores and Inatel. Next to Inatel you find Forte São João Beach, and the villa is in 300m from this beach. Welcome pack available for late flights. For early flights please contact me first.